It was late year 2000 in Haukipudas, Finland, when three fellows, Miikka, Teemu and Samu decided to base a rock band called Aias. Miikka was supposed to be the rhythm guitarist, Teemu solo guitarist and Samu keyboard player. Teemu's brother Pietu was asked to play drums and so we had become a band. We couldn't find singer anywhere and Teemu decided to sing until we would have found a new singer. First demo tape was recorded in the end of the year 2001, but we weren't happy with it and didn't release it anywhere. Soon our music style started to change into something more heavy, Miikka started to play bass and we started to rehearse our second own song. Pietu left the band soon after our first gigs in the summer of 2002, and the rest of the band came up with an idea to make a demo. About six months we recorded and mixed that demo, Shadow Pulls You Away, which was released in December of 2002. That time the name of the band was changed into Child Of The Night. Because we had no drummer, the drum tracks of the demo were made by computer. Later Samu's cousin Jaakko was asked to become our drummer, and in the beginning of the year 2003 we started to rehearse regularly. Jaakko broke his leg in the following month and it was sure that he wouldn't be able to play in the band competition we had signed up. Luckily we found Antti to play drums, and after only a one month period of rehearsing we took part to that competition, KelloRock, and - surprisingly - won it! Teemu decided to remain as a vocalist after that great feedback he got from the competition. Few weeks later a new guitarist Juho entered the band, but left the group in less than a month. 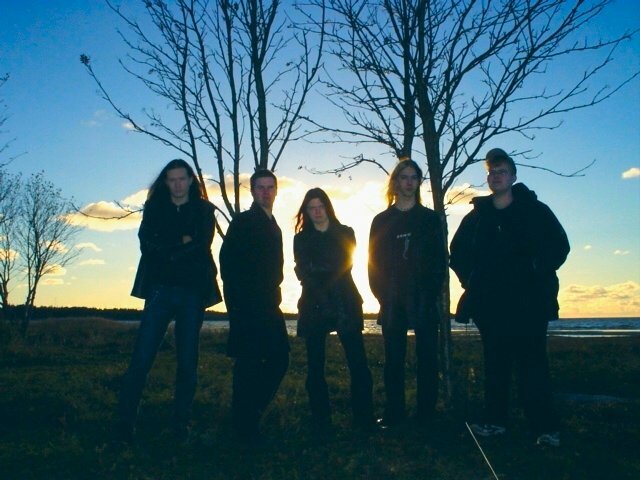 In the autumn of 2003 Heikki contacted the band and was taken in as a guitar player. Unfortunately this great guitarist didn't fit in as expected, and band decided to go on without any new members, so Heikki had to go. In the beginning of the year 2004 everything fell apart when Miikka and Samu decided to leave after long-term hard times. The main reasons why Miikka and Samu left the band were the lack of motivation and everyones appreciation towards other band members. However the friendship remained. It was very close that this band wouldn't have become a whole again, but first good sign was seen when Miikka said he could come back to the band. Soon we found two guitar players, Joni and Jaakko (not the same drummer Jaakko) and a keyboard player Jussi. In addition Teemu started to play keyboards with vocals and now, for the first time, we had so big line up that we could play the songs live just the way they were recorded, without deleting any tracks. During the summer of 2004 the band changed its name into Silent Threnody. Bad luck seemed to continue when Antti cut his leg with a chainsaw. Anyway, in few months he played drums better than ever and we started to rehearse new songs for the new demo. After a couple of months of rehearsing we noticed that neither of our new guitar players were able to play the solos of the songs, so Teemu had to start playing solo guitar again. Two rhythm guitarists weren't needed, and common decision was to keep Joni in band. Jaakko had to go. In the December of 2004 new line up found its way performing in Hullu Pohjola, Kemi. Gig was pretty much a success, but yes, we had many difficulties there too. Even though it's not clear what future will bring us, we now have a strong believe in ourselves and this band.